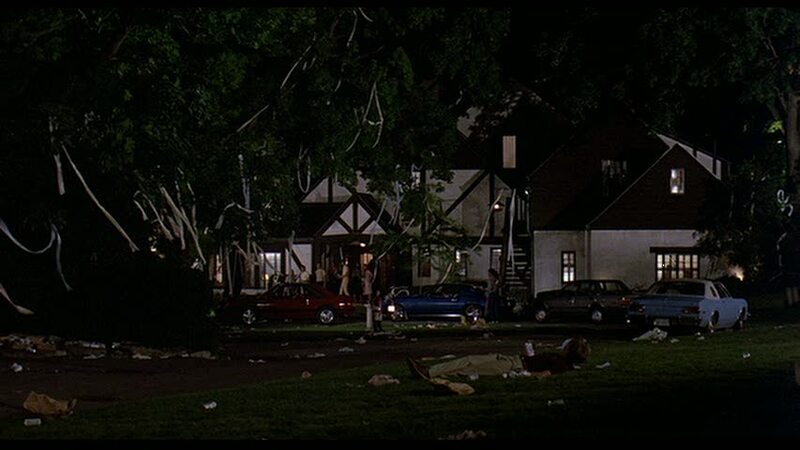 Remember Molly Ringwald’s house from the classic John Hughes movie Sixteen Candles? 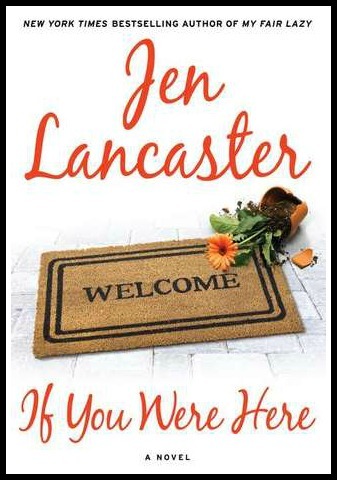 She played an angst-filled teenager named Samantha Baker, whose family is so focused on her sister Ginny’s wedding that they “effing forgot” her 16th birthday. 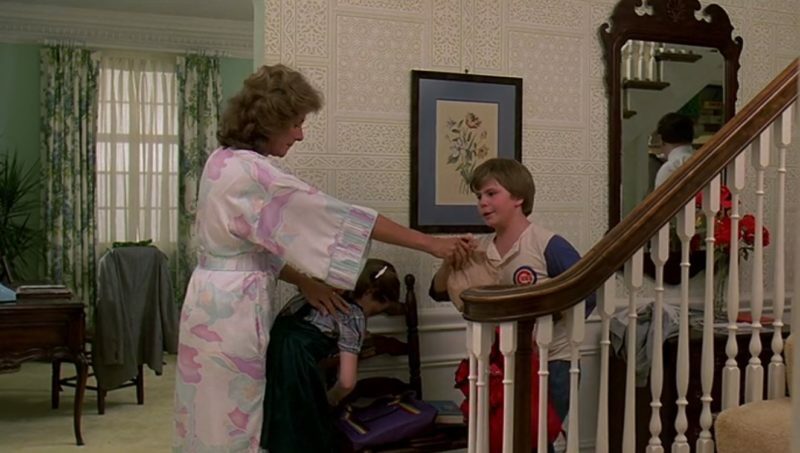 It was filmed on location in this red-brick house in Evanston, Illinois, so let’s compare how the interiors looked then and now! You will picture yourself sharing dinner parties in the amazing dining room and the elegant living room with a wood burning fireplace and gorgeous plastic cast molding. I was happy to see the paneling is still intact! 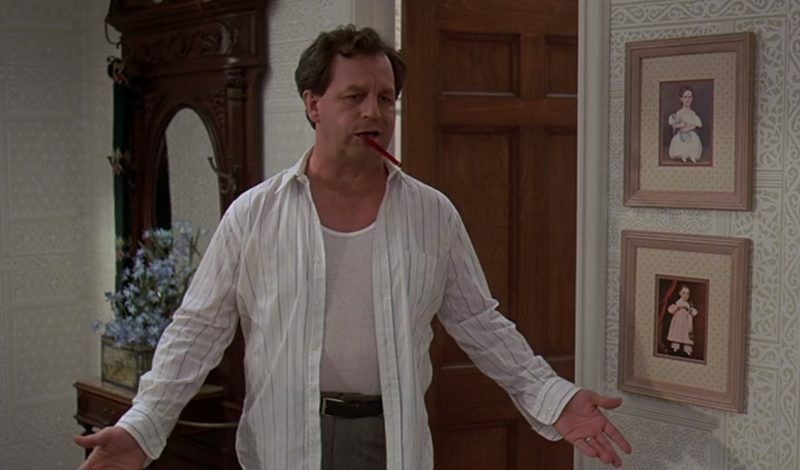 Paul Dooley played Sam’s dad Jim Baker and Justin Henry was her foul-mouthed brother Mike. 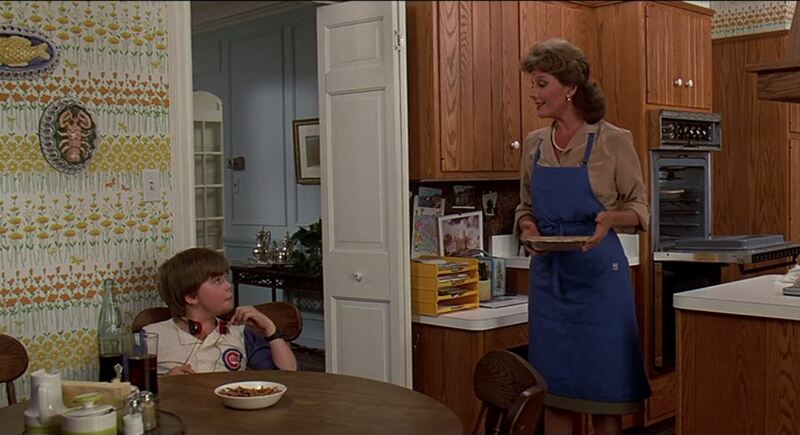 I love how very ’80s it was with that wallpaper and the wood cabinets! The house was built in 1931. Note: There are Amazon affiliate links below that may earn me a commission but won’t affect the price. 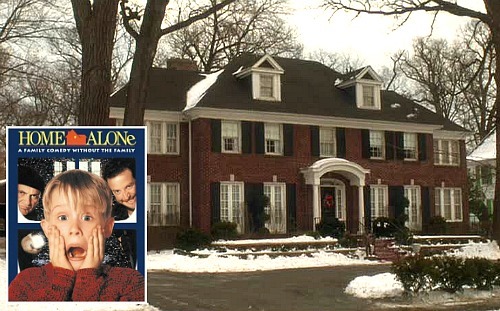 If You Were Here is about a woman who buys Jake Ryan’s house from Sixteen Candles and fixes it up. Kind of like The Money Pit for John Hughes fans! 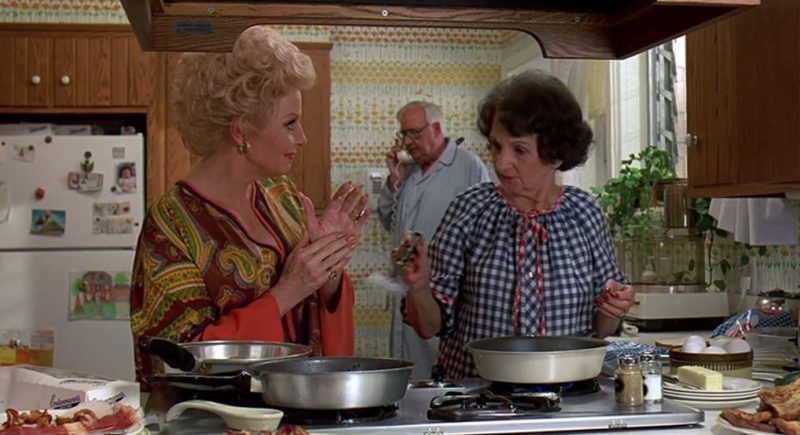 A little off topic, but not too far: Last night TCM played the original 1961 Parent Trap movie. I wanted to know more about the California ranch Brian Keith’s character lived in. I Googled it and guess what??? YOUR blog post on that very subject was the second in queue, second only to an article by Curbed, which cited YOU as the definitive source and linked to YOU!! I bow to the your talent. Way to go. 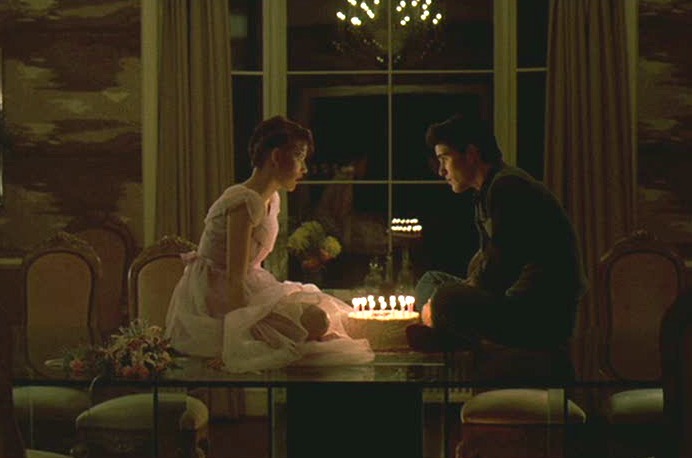 It was great to see this; Sixteen Candles is one of my all time favourite movies. I think I know what I’ll be watching tonight, now! 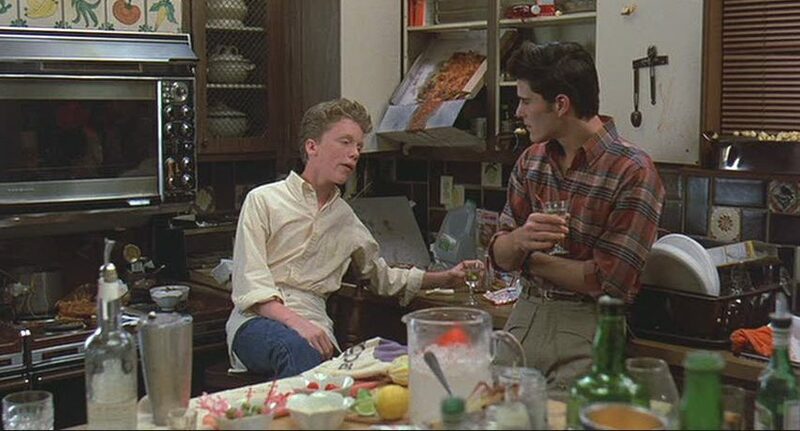 I don’t know if it’s nostalgia for the movie (I was just a teeny bit too old to really “get” some John Hughes movies), but the movie version was so much more comfortable and cozy-looking than the current version. Currently, it’s all trendy grey and washed-out white. Cold and uninviting. 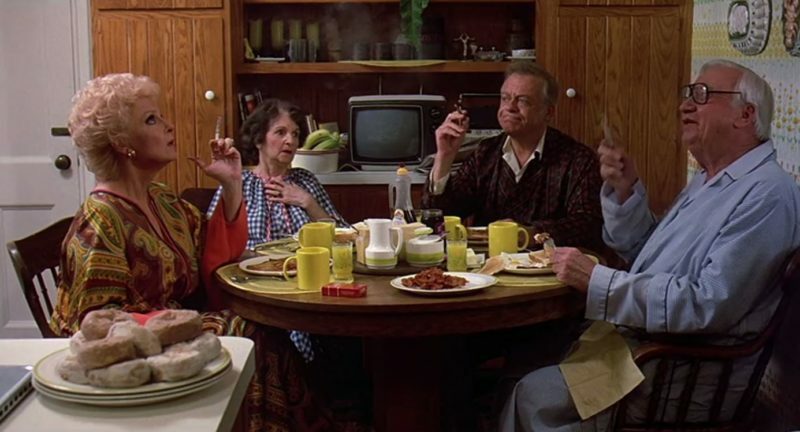 But I really like the basic house — I’m a traditional house fan — and really glad they didn’t “open it up” to create an “open concept” space as so many people do now. I like rooms and hallways! I feel the same way. Now it is so perfectly staged, magazine ready. I LOVED that movie and still quote lines from it all these years later! What a fun tour! I heard the same thing about the guy who played Jake. A woman I used to work with knew his parents or something and told us he lived in PA. Great post – I love seeing houses from old movies! How fun! I’ve often thought I’d like to do that the next time I’m in Northern Illinois! What a coincidence! Julia, I thought of you last weekend when we drove through Evanston to drop the youngest off for summer camp at Northwestern. LOVE the neighborhood! I didn’t realize it was that close to the city of Chicago. Love Molly! I know everyone is into the blase’ beige look but I prefer the movie house because it has color. I actually prefer the current version of the house, but I love the traditional exterior. Love the house, and agree with Nita Hiltner about the blase beige. Colour is so much nicer. What I did notice was that in both photos it had a screen door on the front – a big no-no in my book. Houses just don’t look good with screens over the front door. This is the entrance that the world sees, and it shouldn’t be hiding behind a screen. The first thing I did when I got my house was to remove the screen, and what an improvement! Notice that all the photos of pretty entries on Pinterest and design blogs show them sans screen doors. I rest my case. I totally agree about the screen (or storm) doors! But at least the current one is less obtrusive than the movie one. Gorgeous PLASTIC cast molding???? Perhaps they mean plaster??? Other than that little thing, I ADORED this post because that is my all time favorite movie. I love seeing all the houses you post. I saw someone googled a movie house and you had a post on it. Do you take requests? I loved the house in the movie The Firm. It is Lamar and Kay’s house. I googled and it shows the front of the house. I still like it all these years later. Do you have any info on this house or any ideas of how I could see other pictures of it? Thanks! I was living in Memphis when the movie was filmed. Oh, my lord what a commotion! I lived in East Memphis not to far from “Mitch & Abby” lived. Production would shut down the entire neighborhood. 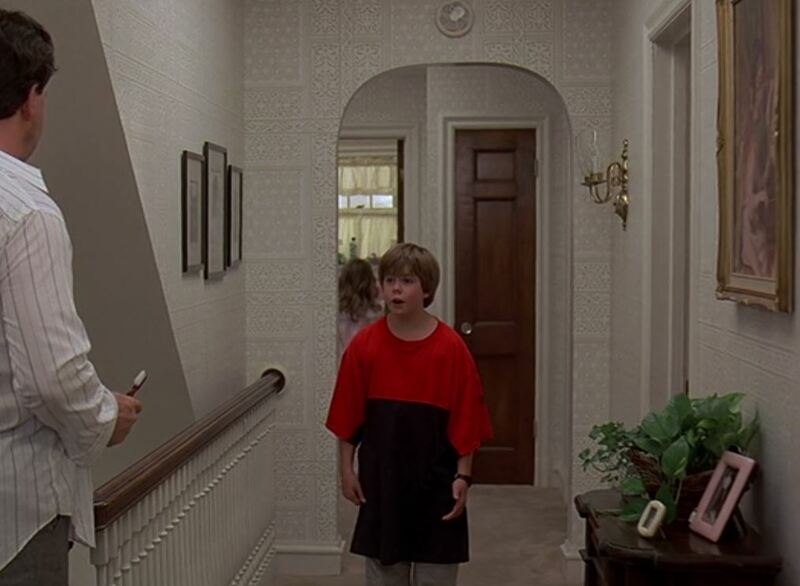 Kids would find out where shooting was going to be the next day and skip school to try to get a look at Tom Cruise. He was having dinner at an Italian restaraunt one night when 2 couples came in for dinner before prom. He picked up their check & it made the Commercial Appeal! 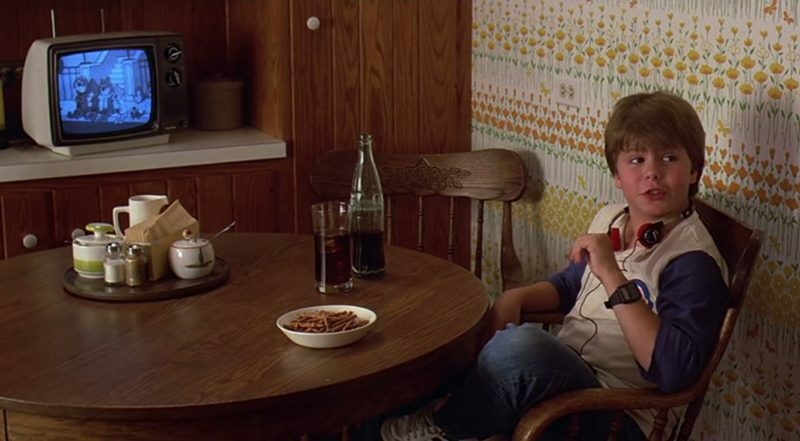 Tom Cruise was actually housed in an isolated house just across the state line in Mississippi. I was in Memphis not too long ago and drove by the “Mitch & Abby” house. It looks much the same. I don’t remember seeing anything about the other house. The law office was an empty building that was staged just for the movie. After the filming shut down, the furnishings were sold at auction. You might look at some editions of the Commercial Appeal around the time of filming. There was usually a story about every day related to the movie. I love hearing stories like this! So fun. Thanks, Margot! Jake Ryan…swoon. 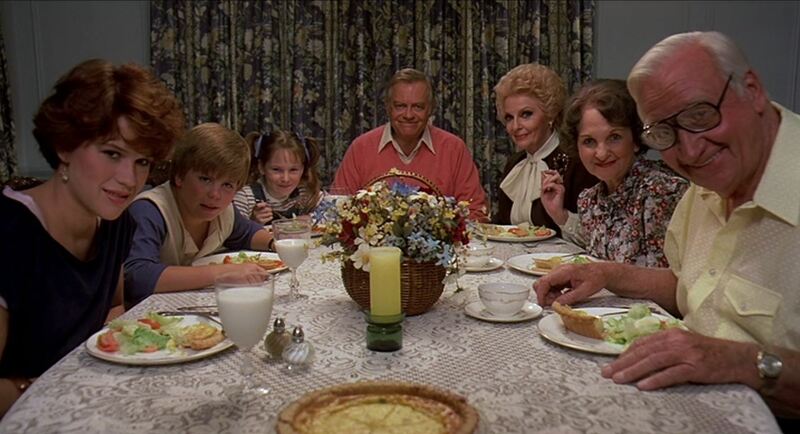 All these years later and I will still occasionally stay up late and watch this one on TV. My husband and I still quote it. Not so long ago I was on the phone in the morning w/ a friend. 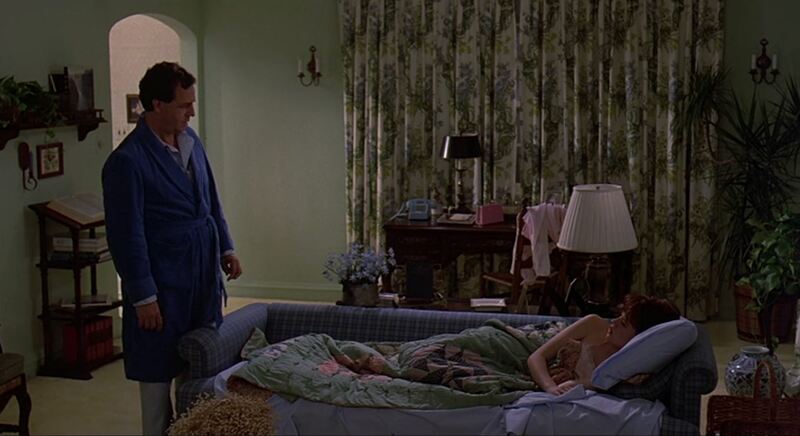 I yawned and apologized and then explained I was tired because I’d stayed up way too late watching Sixteen Candles and, of course, couldn’t stop watching until they kissed over the birthday cake. She started laughing and admitted she had done the exact same thing the night before. 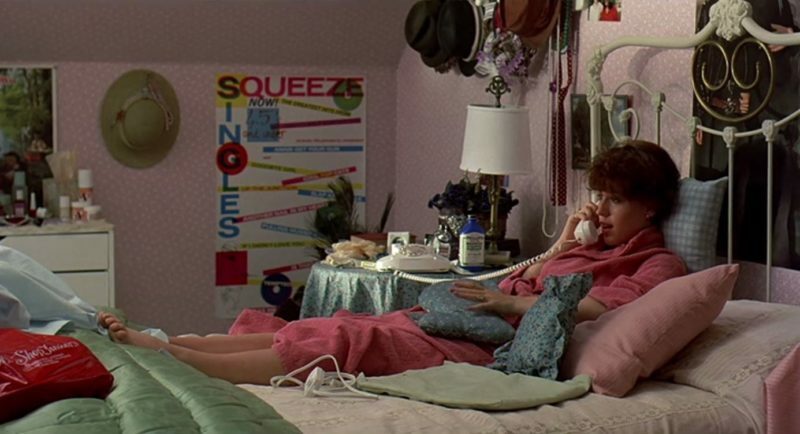 This movie was such a part of 80’s teen culture. The house is just beautiful. Thanks for the fun post. What a great movie, and as much as I love the good bones of that house, what I really remember from that movie is Michael Schoeffling! I agree w/ Melinda, “Ah, Jake…” !! 😉 Fun post Julia! I LOVED all those John Highes movies. Those were the best of times!! Thanks for bringing back those memories !! 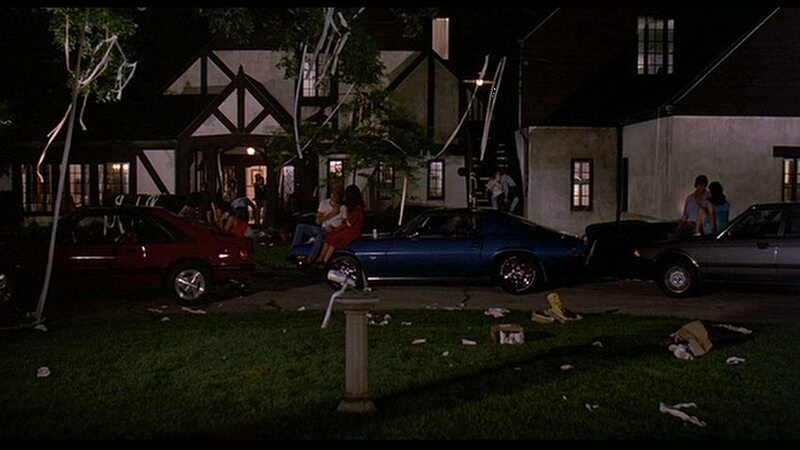 Love this movie and this house. Thanks for the trip down memory lane, Julia. I really like what’s been done to this home. It has some of the usual “staging” look, but with a bit of personalization, it will be a gorgeous home for some lucky family. 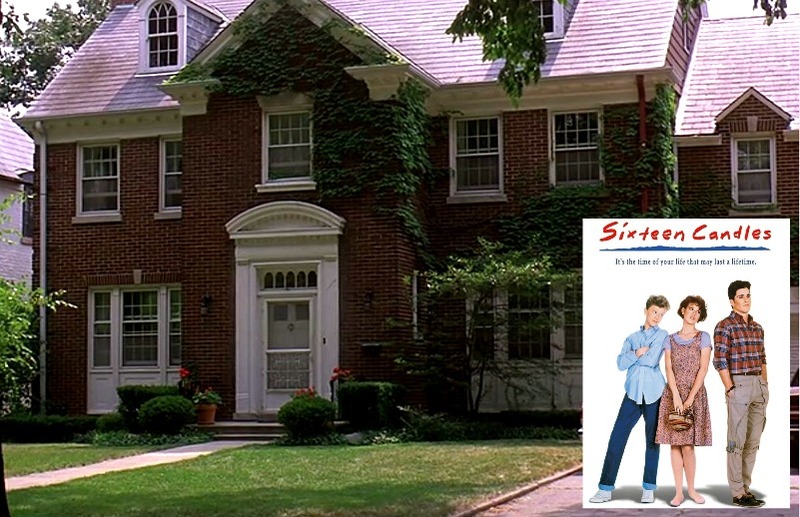 Wouldn’t it be cool to own the sixteen candles house? I am not an American but I love this house. I don’t know if they will allow non-American to purchase houses in America. The movie version of this house appeals to me more, but I think it’s mainly because of those sterile, over-lit realtor photos. To me they make a house look so bad. What kind of lenses do they use? The dining room looks computer-generated! I’d probably like it a lot more if I saw it in person. Why do they do this?